Changing the Face of Medicine: Celebrating America’s Women Physicians (co-curated with Ellen S. More, Ph.D.) is a 4000 sq. 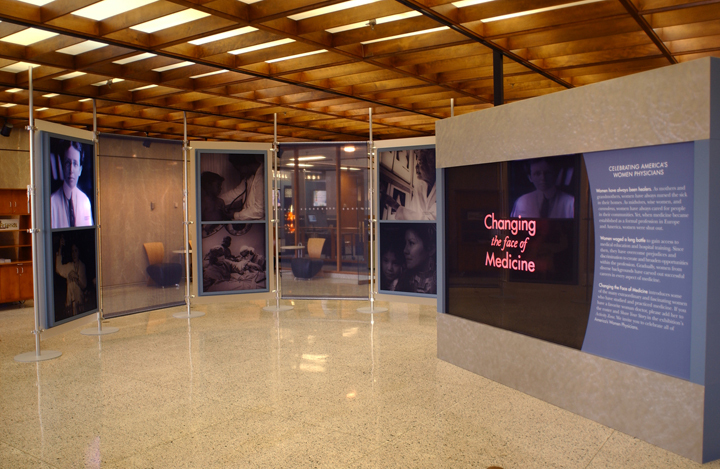 ft gallery exhibition displayed at the National Library of Medicine, plus national touring version and website, budget $3 million. The exhibition spanned 150 years of history and included profiles of more than 300 women. These biographies can be navigated though the themes of the exhibition storyline, or organized as search results for the categories of location, ethnicity, career options, or medical schools. 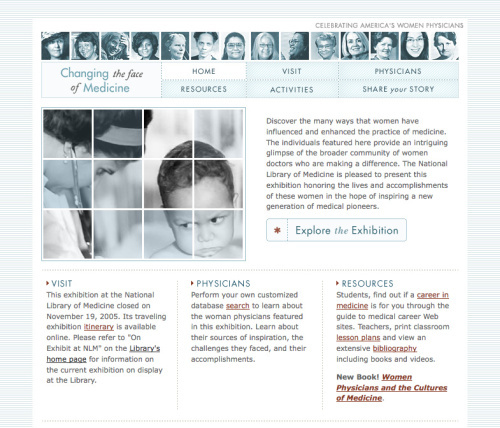 The exhibition website includes visitors’ own stories of inspiring women physicians, short films and interviews, and educational resources for high school and university-level classes. This volume examines the wide-ranging careers and diverse lives of American women physicians, shedding light on their struggles for equality, professional accomplishment, and personal happiness over the past 150 years. Leading scholars in the history of medicine chronicle the trials and triumphs of such extraordinary women as Marie Zakrzewska, one of the first female medical graduates in the United States and founder of the New England Hospital for Women and Children; Mary S. Calderone, the courageous and controversial medical director of Planned Parenthood in the mid-twentieth century; and Esther Pohl Lovejoy, who risked her life to bring medical aid and supplies to countries experiencing war, famine, and other catastrophes. 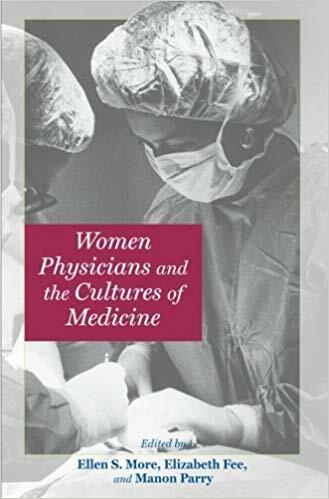 Illuminating the ethnic, political, and personal diversity of women physicians, the book reveals them as dedicated professionals who grapple with obstacles and embrace challenges, even as they negotiate their own health, sexuality, and body images, the needs of their patients, and the rise of the women’s health movement.